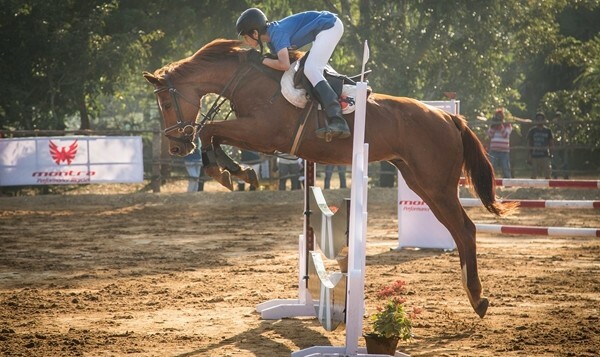 Jacquelinea��s Equestrian Challenge 2016 is back, starting today at Red Earth Riding School in Auroville. FROM scrubbing her neighboura��s windows to saving up for riding classes as a young girl, to founding a riding school that hosts one of South Indiaa��s most anticipated equestrian competitions,A�the one constant in Jacqueline Kapura��s life has been her unbridled passion for horses. 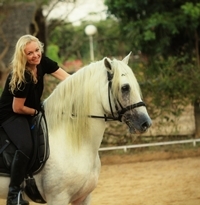 Stables and paddocks are being readied at Red Earth Riding School in Auroville to welcome close to 100 horses and riders for the Pondicherry Equestrian Challenge 2016. Supported byA�Equestrian Promotion Private Ltd, this yeara��s edition repeats the format of the maiden event in 2014, and will be held over two successive weekends. While that spells rest and recuperation for the steeds, it is a chance for would-be spectators to sate their curiosity about this Olympic sport. The smell of horseflesh and earth, the bracing early morning air, and riders attired in immaculate riding jackets cantering about, will set the stage for two major events: show jumping and dressage. The former will see riders of all ages attempting to jump courses of varying heights over both weekends, ending in a grand prix. More dramatic than dressage, show jumping is enjoyable even for spectators without much knowledge of the sport. Horse and rider have to clear obstacles, jump fearlessly over large fences and gauge sharp turns on a marked course. a�?How you adapt yourself to each individual horse matters. Often it is small thingsa��like how you sit on the horse, where you place your leg, which side you leana��that build understanding between the horse and rider,a�? says Kapur. The InternationalA�Dressage Development League (IDDL), scheduled onA�March 3 and 4, also tests the relationship between horse and rider based on prescribed tests, including movements choreographed to music.A�Natallia Rubashko, a FA�dA�ration Equestre Internationale judge from Belarus, will adjudicate the event. a�?Dressage demands intense concentration and not all horses enjoy it. Then there are those like Campera, my horse, who love to show off during the event,a�? says Kapur, mimicking her horsea��s preening. 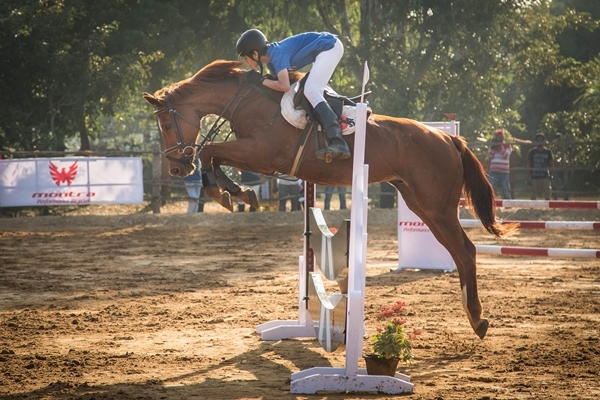 Though equestrian carries an elitist tag given the expenses involved, participating riding schools in Chennai, Bengaluru, Coimbatore and Tirupur have made it possible for young and old riders toA�A�compete at a national level, by sharing horses among contestants.A�The number of women participants every year has also been encouraging. a�?Equestrian remains the only Olympic sport where men and women compete on an equal footing, and no show jumping or dressage event has separate courses marked out,a�? concludes Kapur.